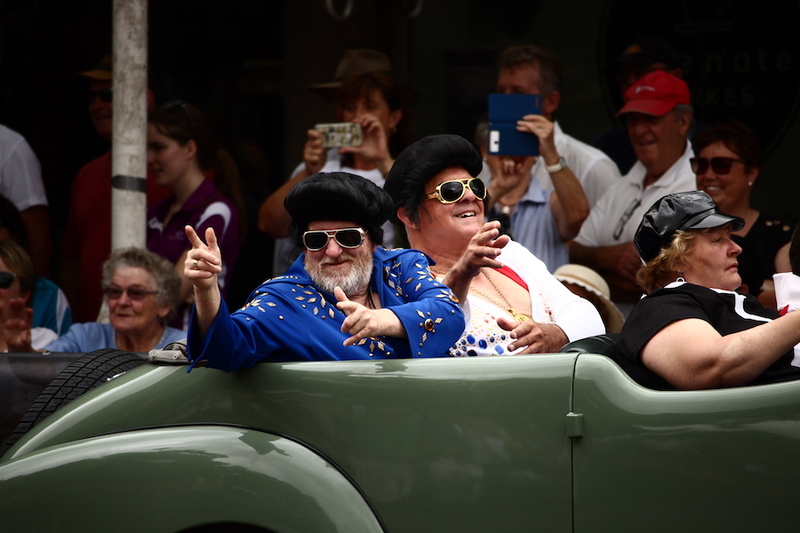 For several years now, after seeing the famous Elvis Festival at Parkes in New South Wales featuring on the news, the good lady wife has said, “We should go to that”. As it was already over each time she mentions it, the safe reply was always, “Yeah, we should!”. It had become such a Pavlovian response on my part that this year I missed the “on in a few weeks’ time” bit and, after I heard my standard reply escape my mouth, it was too late – I was caught in a trap, I can’t walk out. In the spirit of marital harmony, I offered to work out our best route using Google maps – because I love you too much, baby – and also looked for something bike-related I could do while we were there. Jackpot! 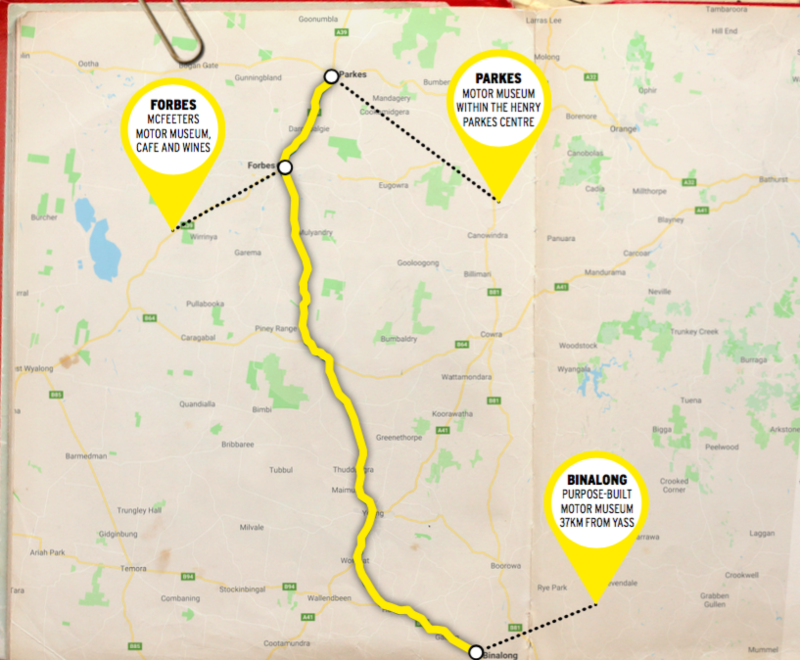 Three motor museums within cooee of the festival; one in Binalong, one in Forbes and another, thankfully, in Parkes itself. 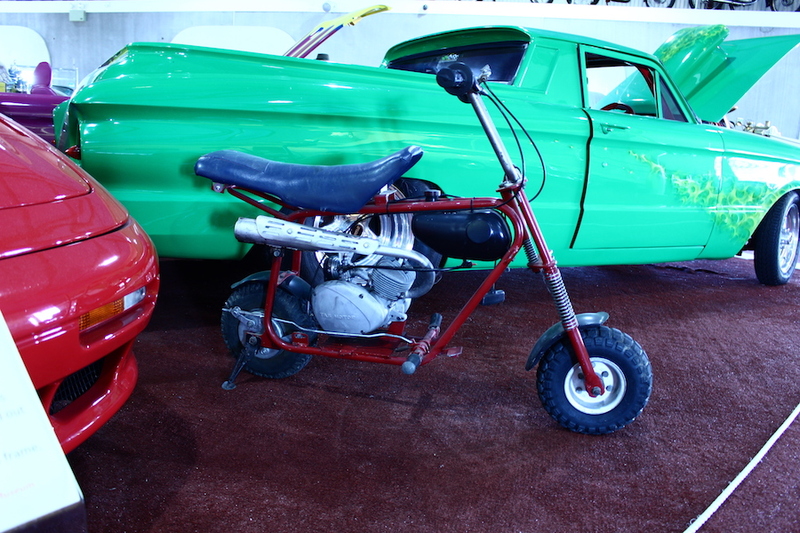 All three were primarily car museums, but said they also had bikes on display. Binalong is a small country village that you would not expect to host a motor museum. Most people who have heard of the place know it as the location of bushranger ‘Flash’ Johnny Gilbert’s last stand and subsequent burial in the police paddock. The museum is also the residence of collector and restorer Stuart Saunders, a retired eye surgeon. Most of the vehicles Stuart has are rideable or driveable, and several have served the good doctor as daily transport over the years. Some are in the process of further restoration or repair, and his workshop is open for viewing. Stuart’s an interesting bloke who had a great story to share about whichever vehicle I was viewing at the time. 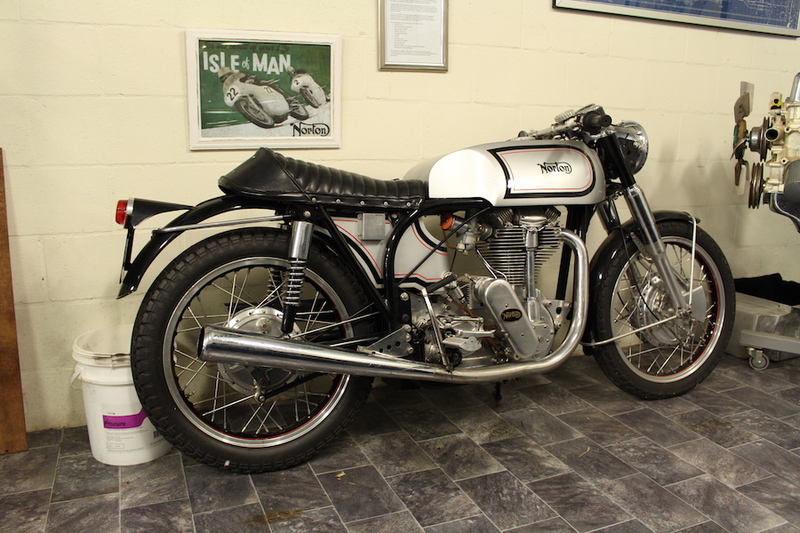 For example, his 1990 Norton F1 rotary is one of the last three built in Britain and the first to be imported into Australia. He can’t determine exactly which of the three it was, but says it’s very likely to be number 206 of a total run of 208. At the time, the F1s were being built by hand, two were partly assembled and a third was just a pile of parts on the factory floor when production stopped. The order had been given to “just use up those parts and that’s it,” Stuart explained. He discovered the frame and engine numbers don’t run as high as they should when compared to the number the factory claimed to have built. A bit of fudging to meet the homologation requirements perhaps? The F1 Norton is the road-going version of the RCW588 racebike that Norton pinned its recovery hopes on, running it at the Isle of Man, British Superbike Championship and in the Grand Prix World Championship in its black and gold John Player Special livery. The race version had its successes, but not enough to convince Joe Public to open his wallet, and the F1 didn’t come cheap either. The Norton’s twin-chamber, water-cooled 588cc rotary engine produces 95hp at 9500rpm and is housed in an alloy frame with WP suspension. With a five-speed gearbox, Brembo brakes and a ready-to-ride weight of 192kg, the doc reckons it’s a beaut bike to ride. 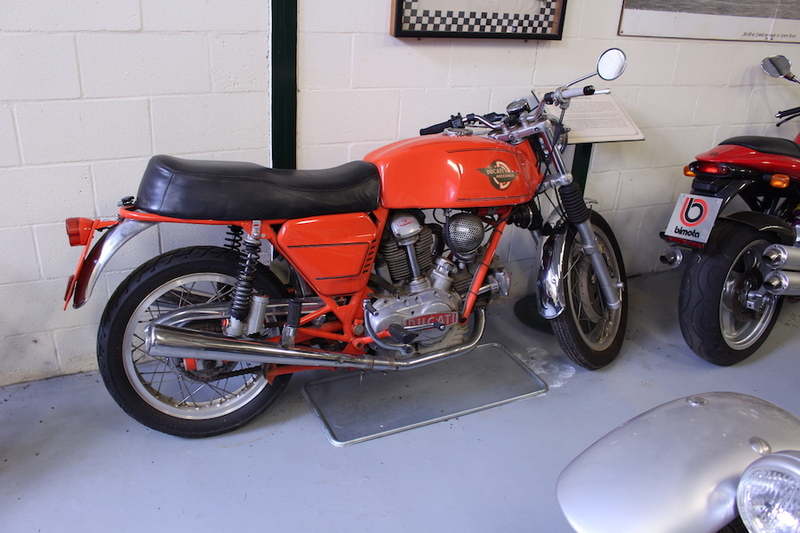 Other bikes in Stuart Saunders’ collection are: a Honda CB350 that performed daily duties for many years; a few Ducatis, including a Hailwood Replica and a 1972 GT750; and a Featherbed-framed Norton single. You can only hear so many out-of-tune renditions of Hound Dog before your ears jump ship. 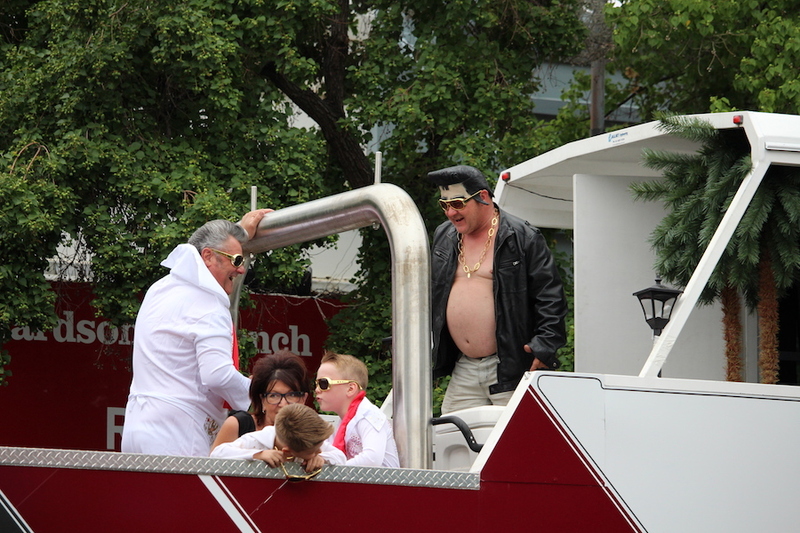 The professional Elvis impersonators – pardon me, Elvis tribute artists – ranged from pretty good to great, but the very many amateurs at the almost as many karaoke venues ranged from acceptable to downright excruciating. 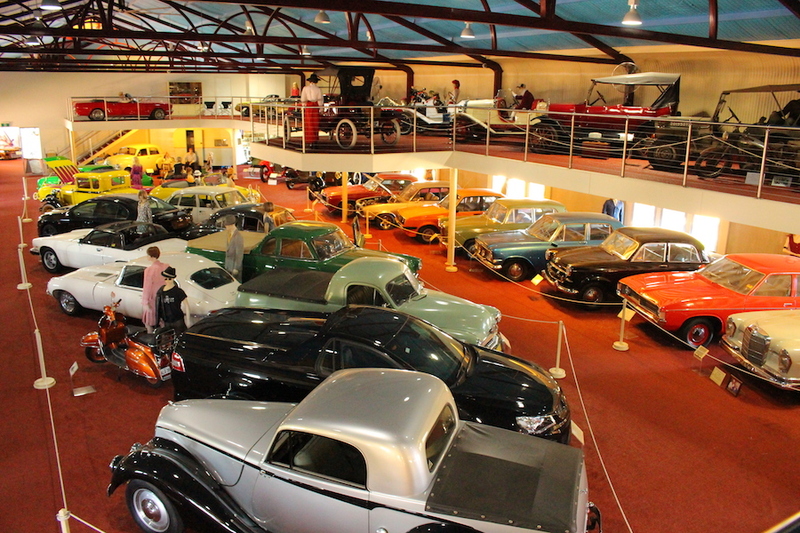 It was off to Parkes Motor Museum for some relief. 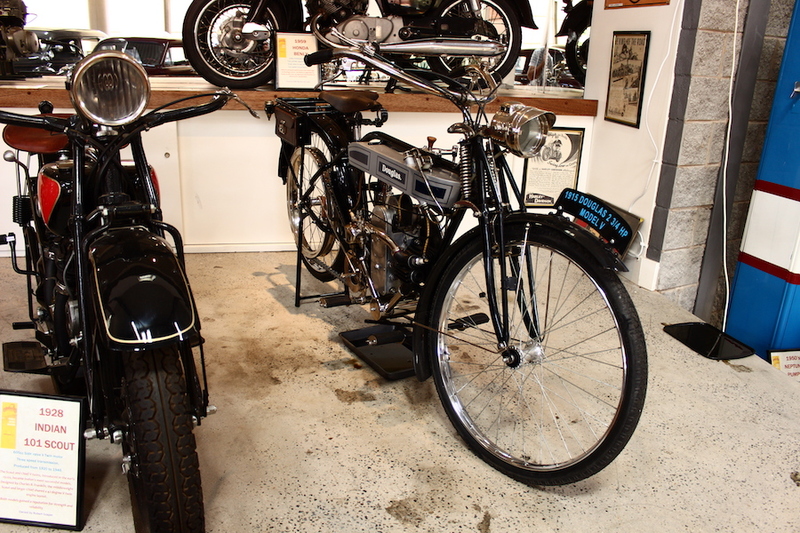 It was no surprise to be met with an impressive display of Elvis memorabilia as we arrived at the museum, but there were some interesting bikes tucked in among the rhinestones and the tin-tops. The obligatory army-green World War II Harley-Davidson complete with gun boot and blackout lights is one of the first bikes you see when you walk through the door. Then you get a glimpse of a 1928 Indian Scout with its 600cc 42-degree V-twin side-valve motor matched to a three-speed gearbox. Beside the Indian is a 1915 Douglas, a British-built horizontally opposed twin with the cylinders laying fore and aft. Its 2¾ horsepower went to the rear wheel via a multi-link leather belt and the brakes operated on the rims in much the same way my bicycle brakes did when I was a teenager. Wet-weather performance was most likely woeful; it certainly was on my Speedwell. 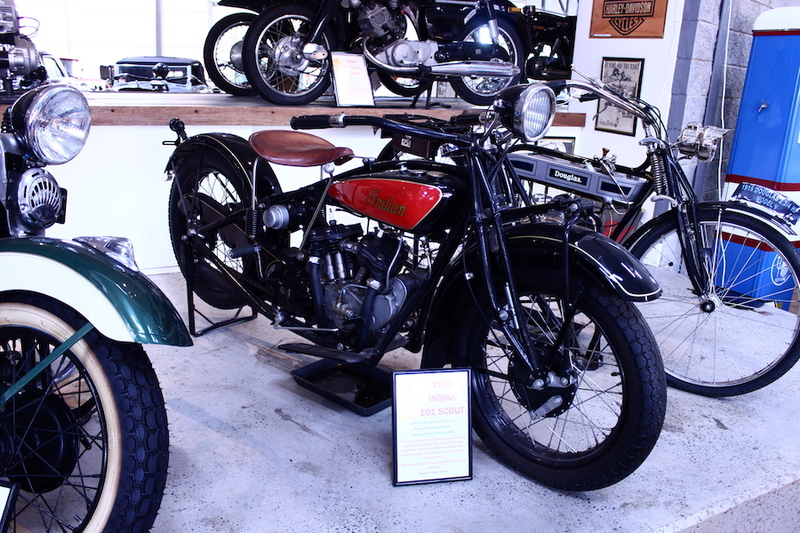 A 1962 BSA B40, a 350cc OHC single, had an interesting story and a hard life mustering cattle on a property near Broken Hill before being restored. The final place to visit on our trip was McFeeters Motor Museum in Forbes, a town better known for its association with Ben Hall than Henry Ford and his mates. Fearsome four-wheeler Among the many superb cars at the Binalong Motor Museum is a 1908 MAB built in France and found in a paddock in nearby Wagga Wagga. It’s fitted with a 27-litre V12 aero engine! It has exposed chain final drive, rear brakes only and does 85km/h at 1000rpm. It redlines at 2000rpm and uses 31 litres per 100km. 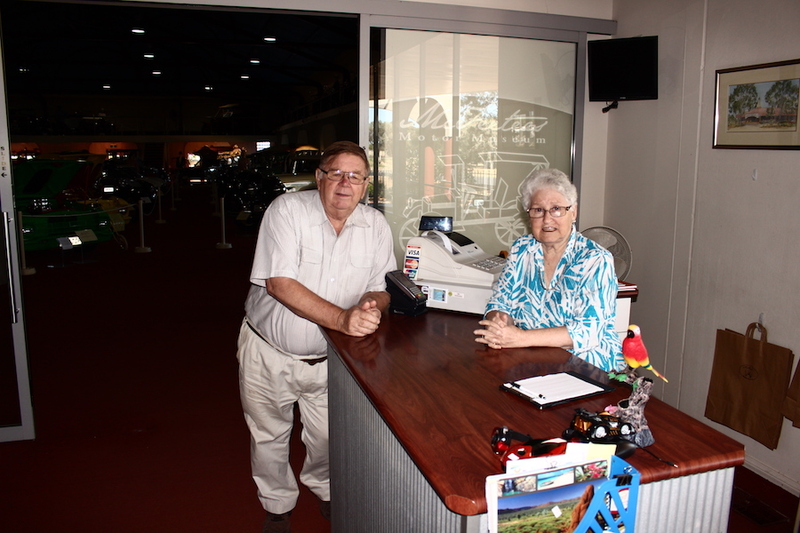 Bill and Jan McFeeters were wool buyers, and when they retired decided a bigger place was needed for their growing collection of all things automotive. Jan told me she envisaged a large tin shed in tasteful Colorbond, but Bill decided it had to be done ‘properly’ and created a vast eye-catching complex situated on the Newell Highway, complete with a cafe, gift shop and cellar door that showcases local wines. Jan revealed that the collection started when Bill bought a run-down Model A Ford and things grew from there, with a Ford Model T coming next. 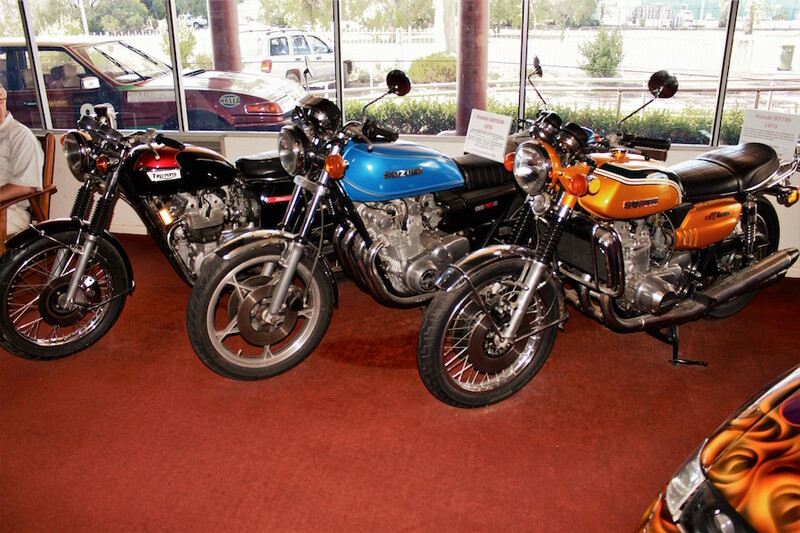 Many of the bikes are on loan from owners who regard the McFeeters’ museum as both safe storage and a place to let people see them. them run for a minute or two with the back wheel spinning, then shuts them down and wheels them back inside. He doesn’t even go for a spin around the block. One machine, a 1914 Precision was completely new to me – side-valve V-twin with belt drive and the gearbox built into the rear hub. From my research, it appears Precision only made engines, not complete bikes, and only sold them to other bike manufacturers. Sometimes it would replace the Precision moniker on the engine castings with the name of the bike maker. It seems that many of these engines were imported to Australia from the UK, where they were built by FE Baker Ltd in Birmingham. 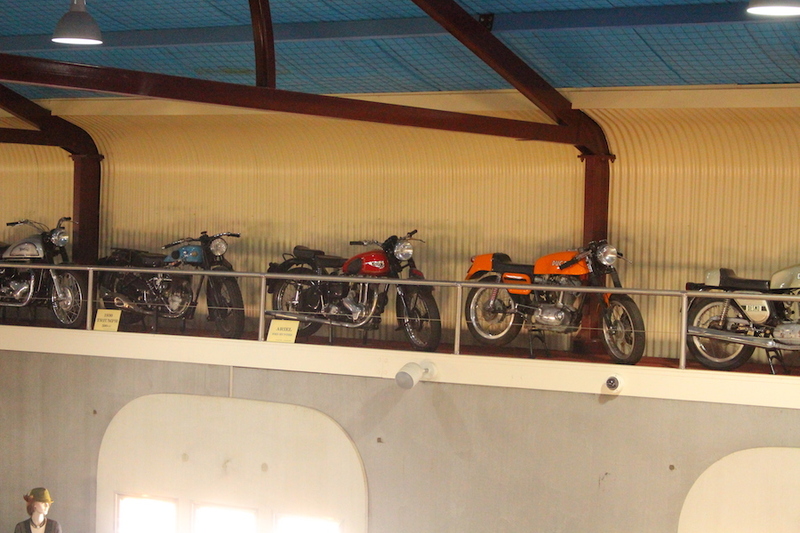 Most of the motorcycles are displayed on a narrow mezzanine level and can only be viewed from the floor. This limits the detail a bit, but don’t let that stop you from visiting. 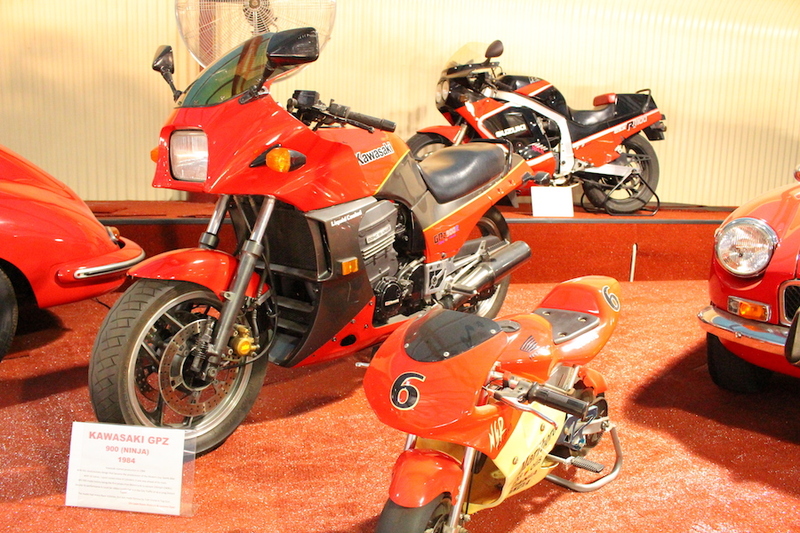 The usual Japanese sportsbikes are there – a Kawasaki GPZ900R, Suzuki Katana 750 and GSX1100R – as well as a TAS minibike from the era when minibikes were bare-bones designs sold in lawnmower shops, and an unrestored 1949 BSA 350 that has had a hard life around several farms. According to the McFeeters, the BSA was bought secondhand in 1957 for £35 by brothers Rex and Bruce Fields, and it carried the duo, their two dogs and whatever equipment was needed for mustering, fence repairs or other farm work. It was in use until 1980, it’s still owned by Bruce and it still runs, despite giving the appearance of being a complete basket case. If you are ever in the Central West, make time to visit these museums. You won’t regret it as it’s time well spent.